View More In Lip Stains. 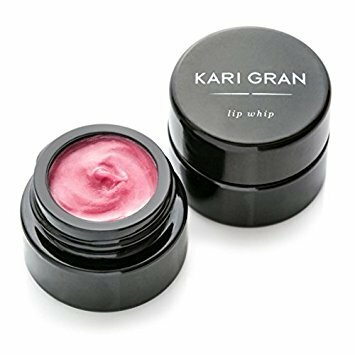 Kari Gran's products are hand-poured in small batches using the finest available natural, organic, wild harvested, and non-GMO ingredients. There will be subtle variations in their product line from time to time - the natural result of them buying ingredients in small batches to ensure freshness. For instance, lavender grown in rocky volcanic soil may have a subtly different scent than lavender grown in the rich black soil of a river valley. As an essential oil, Lavender also matures, like fine wine - adding complexity to its scent. So, if you have a finely tuned sense of smell you just might detect a very slight difference in the fragrance of their Hydrating Tonic, Essential Serum or Cleansing Oil, depending on the source of lavender used in their essential oils from one batch to the next. The Kari Gran Radiant Lip Whip was inspired by Pantone's 2014 Color of the Year Radiant Orchid. It's the perfect hybrid of Lip Whip meets lipstick. Formulated with the same soothing combination of natural ingredients found in their Naked and Tinted Lip Whips, Radiant offers a deeper burst of color + healthy moisturizing boost. If you have any questions about this product by Kari Gran, contact us by completing and submitting the form below. If you are looking for a specif part number, please include it with your message.